As much as I hate to admit it, I have been home from Japan for the past 4 weeks. 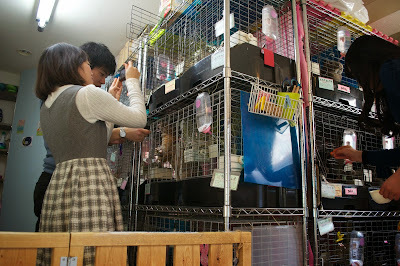 I got consumed by a whirlwind of responsibilities, mostly pertaining to singlehandedly moving out of an apartment in the middle of nowhere Japan, so this blog post from February is hugely overdue but that doesn't mean it's any less important. When most people think of Valentine's Day plans, they probably don't think about spending an hour at a place called Rabbit and Grow Fat but that's exactly what my friend Natalie and I did. 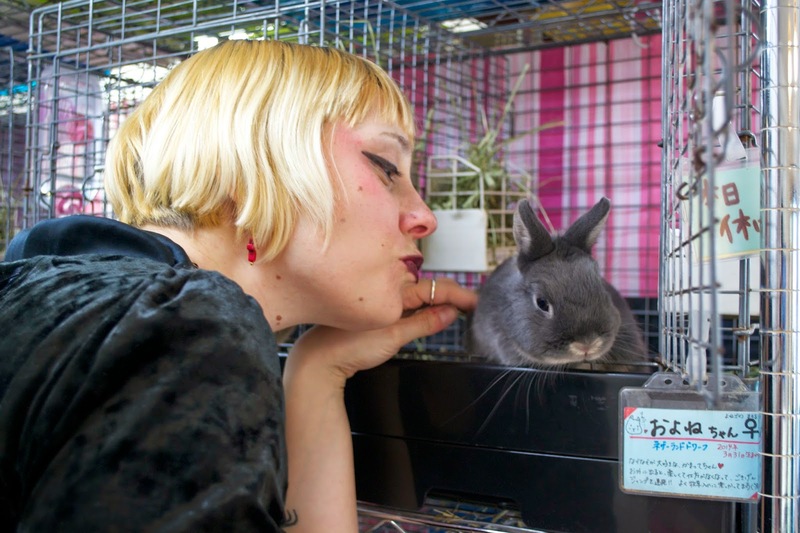 I think I speak for us both when I say we have no regrets about spending our Valentine's Day in the company of many rabbits. 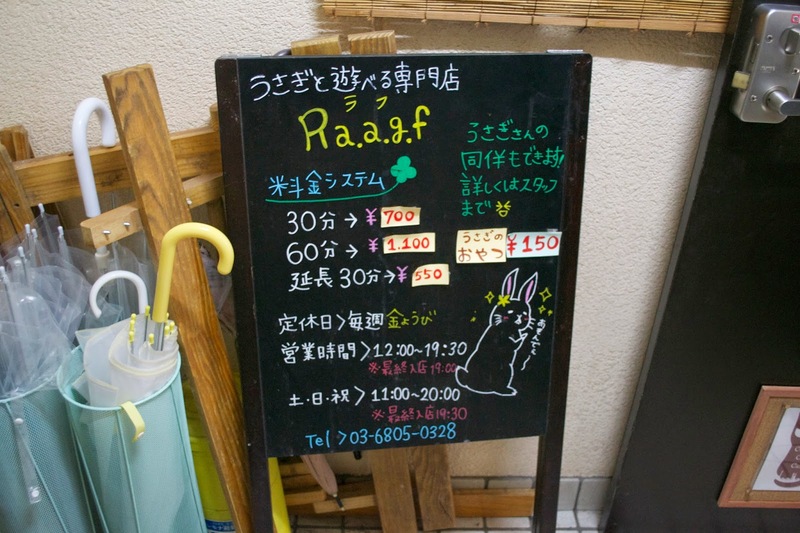 Natalie and I had previously discussed our mutual interest in checking out a rabbit cafe and did some Googling to find Ra.a.g.f. If you click on the "staff" button, you can see which rabbits are at each cafe. Here is an easy link for those of you who can't read Japanese: Ra.a.g.f. staff. Ra.a.g.f. actually has a location in Harajuku and Jiyugaoka but we chose to check out the Harajuku one. Ra.a.g.f. Harajuku is located in a building on a quiet street. The sign outside made it quite easy to find. Their logo is pretty silly, isn't it? 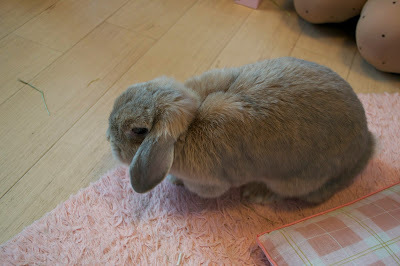 The rates were reasonable too: 700 JPY for 30 minutes, 1,100 JPY for an hour and 550 JPY for every additional 30 minutes. This fee also includes a drink. 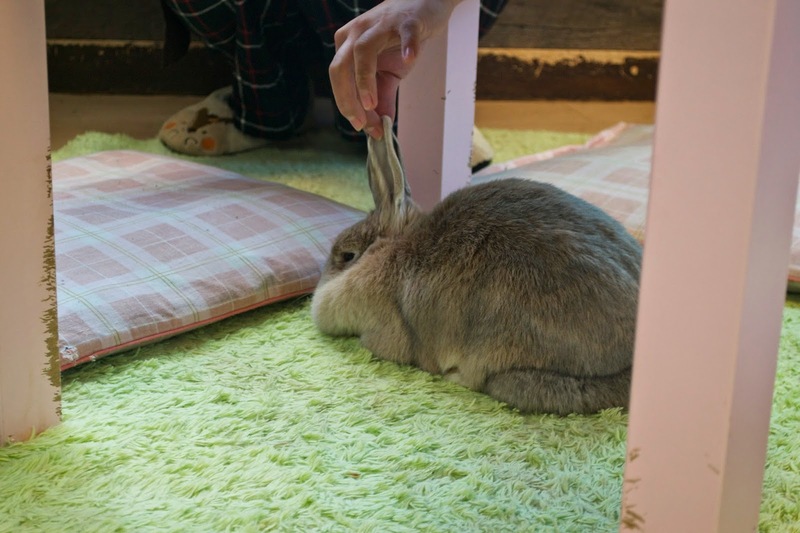 Also, you can and definitely should buy rabbit food for the extra 150 JPY because it was really fun to feed all the cute bunnies! We didn't make an advance reservation so when we arrived, they gave us a ticket and told us to come back in 30 minutes. When we returned, they allowed us to come in and explained some rules about how to interact with the rabbits. The rabbits are kept in cages but you could choose which ones you wanted to play with. 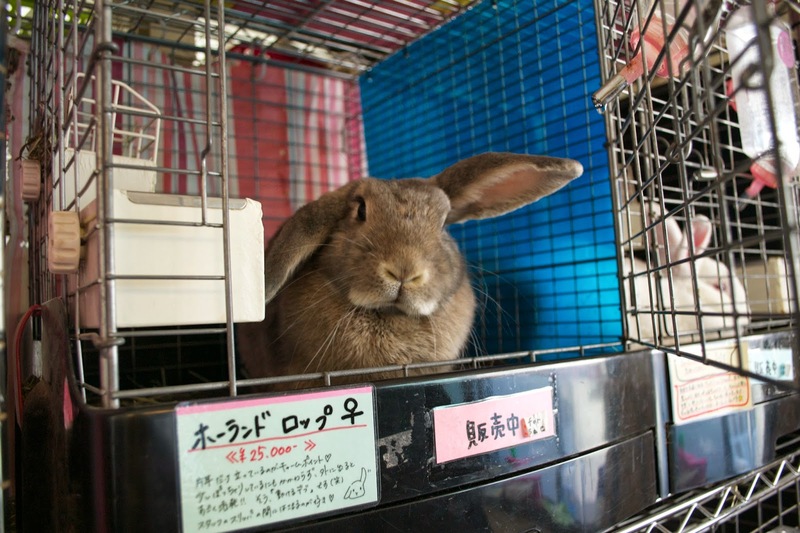 Some of them were unable to come out and play because they need to rest for a while after interacting with customers. Even if the rabbits weren't roaming about the room, you are still free to pet them in their cages. I think that all the rabbits were available for adoption as well. I really wish I could have taken one home. My favorite rabbit was this Giant French Lop which was so big! I had never seen one in person so I was so excited to meet Mittsu. 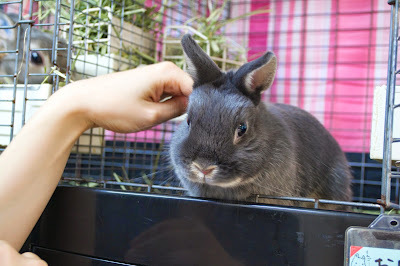 All the rabbits were super cute and friendly though. I definitely recommend making Ra.a.g.f. 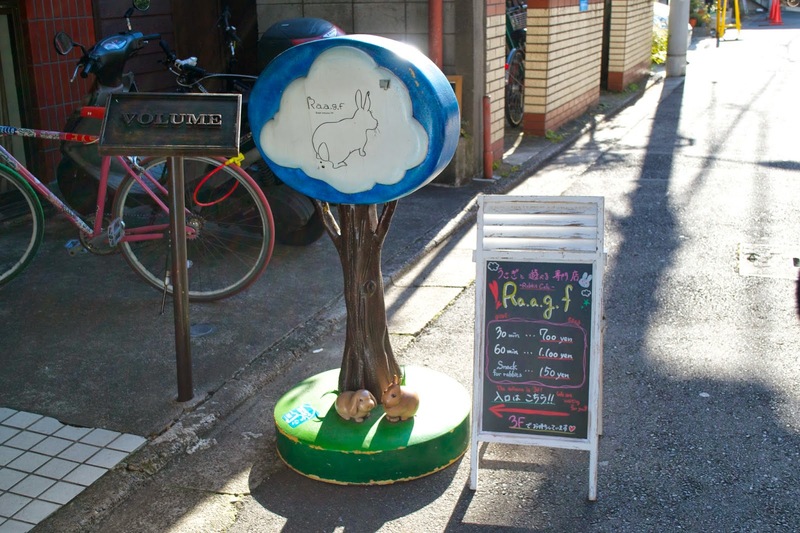 a part of your trip to Harajuku. You don't have to be afraid to go if you can't read or speak Japanese because the some of the staff could speak English. 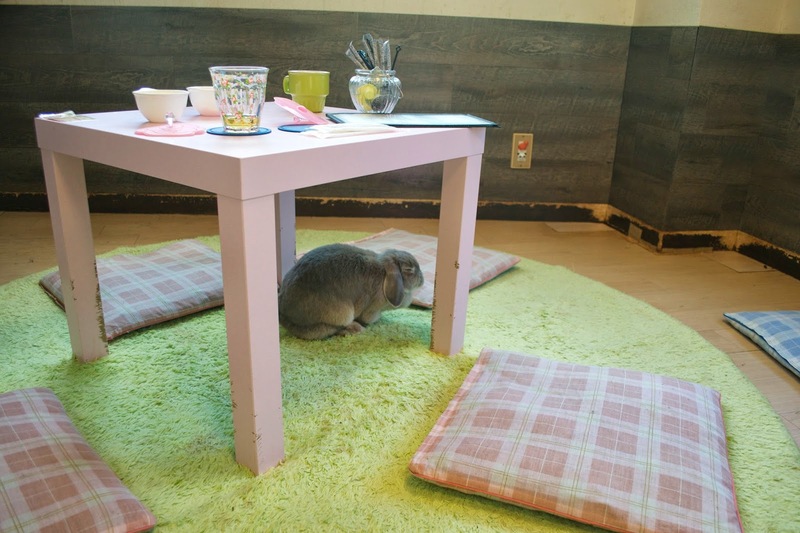 And if rabbits weren't enough, there's a cat cafe across the hall.